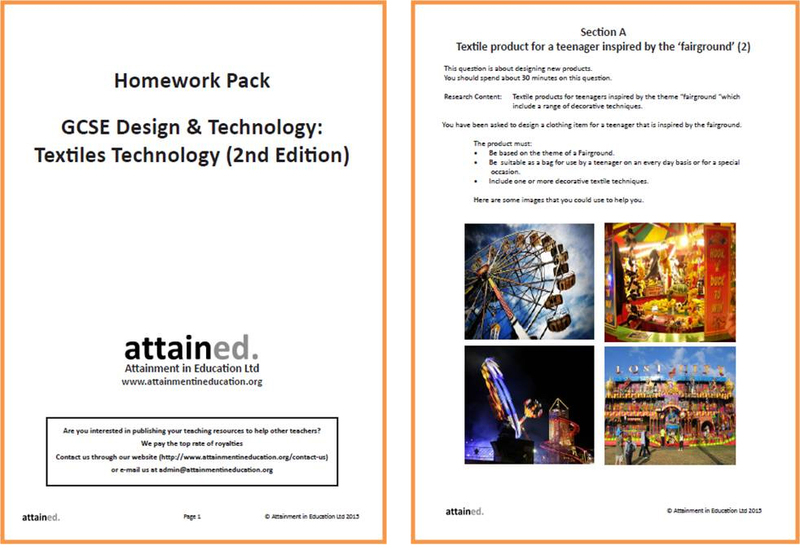 Revise and prepare for exams in GCSE Design and Technology: Textiles Technology (4570) for exams from June 2010 by downloading past papers/specimen papers, mark schemes and example answers. Everything you need for assessment of GCSE Design and Technology: Textiles Technology 4570 including candidate record forms. ... We've changed the way you input your coursework or controlled assessment marks – it's now online, not paper-based. See our e-subs: ... Specification for exams from 2014 (939.5 KB).